Alan Monzon and his experienced roofing contractors explore eco-friendly and energy-efficient roofing options for your Goodyear home. Besides just saving green, many homeowners are now concerned about being green. From air conditioning units to new roof installations, homeowners are looking into ways to be more environmentally friendly with their choices. Your roof has a big impact on the overall energy consumption of your home. By reducing your energy consumption, you help to reduce your reliance on natural resources, such as oil and coal. Installing a white or cool roof will help you to reduce your energy consumption significantly. A white roof helps to reflect the sun’s rays so that less heat passes through the roof and into your Goodyear home. Cool roofs are those made of other materials that also reflect the sun’s rays, regardless of color, such as clay tile. Metal roofing is a popular choice for cool roofing in Goodyear. The metal surface naturally reflects the sun’s rays to keep your home naturally cooler during the summer, which is especially important in places like Goodyear where the temperatures can reach triple digits. Painting a metal roof can increase its reflective properties. White paint and other light-colored paint can reflect more heat. Special coatings can also be applied to metal roofs that actually re-emit heat into the atmosphere, helping to displace whatever solar rays are absorbed. In addition to its energy-efficient properties, metal roofing is also an eco-friendly choice because it is easily recyclable. In fact, much of the metal used in roofing applications has already been recycled. By choosing metal roofing, you are reducing the demand for new resources. New roof installations in Goodyear don’t have to be done with new materials. Many roofing materials can be made of recycled components, including metal, asphalt shingles, clay tile, and wood shingles. The recycled materials may be mixed with new materials to reinforce them. By choosing recycled materials, you won’t sacrifice on quality, but you will save money and you will reduce your environmental impact. You’ll reduce the overall demand for new resources, which puts a strain on natural resources. Even if the materials aren’t made of natural resources like coal or oil, they typically require those materials during the manufacturing process, such as in heating. “Green roofs” doesn’t just refer to roofs that are green in color; it refers to roofs that are literally covered in green — plants that is. Your roof takes up a lot of square footage. That’s an awful lot of space to just leave open for the sun to beat down and the rain to run off. Why not put that space to good use? You can plant an entire garden on your roof, from decorative plants to edible produce. You’ll have to create the right base for it, which will require ensuring the right underlying support. Consulting with a Mesa roofing contractor will be essential. Green roofs help you to grow plants that can offset emissions and reduce your overall carbon footprint. 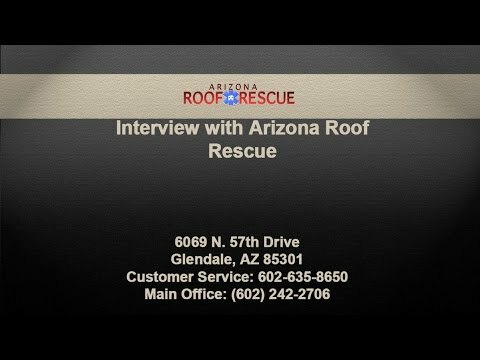 If you are interested in eco-friendly roofing options, Arizona Roof Rescue can help you determine what’s right for your home or business. An experienced roofing contractor from our team can assess your home and give you tailored feedback about what roofing choice will help you reduce your energy costs the most while also staying in your budget. Our team specializes in new roof installations, as well as ongoing maintenance and repair. Call us today to learn how we can help you get the right roof for your home or keep the one you already have in top shape.